Most of the Bajaus have copper skin and golden brown hair. Locals and foreigners alike are impressed with their skills as pearl divers and makers. They scour even the deepest part of the sea and come back with shining pearls in their hands. For most of their history, Bajaus have been a seafaring people, which explains why they are described as “sea gypsies”. The seas are their comfort and an abundant source of livelihood. They travel from one place to another in search of abundant fishing grounds. Over time, many Bajaus fled to the bustling city in search for greener pastures. In the process, they adapted to the culture of the land-based communities. In Sitio Puntod, Alaska Mambaling, Cebu City, live 140 Bajau families. Some of these women still wear their traditional attires, with their babies clinging to their sides while doing household chores. Most of the men are at work or out at sea. They live a simple life amidst the hustle and bustle of city life. Meet Jovelyn Amad, a Bajau cluster leader and a mother of three who came from Zamboanga City and chose to live in the city. “We have a very simple life here. We are not pressured by what we see in the downtown area. We communicate with the same language and live with the same identity, culture, and heritage,” she shared in Cebuano. Even away from the wide open seas, the Bajaus still have their connection with the sea. Apart from fishing and selling fruits, pearl making is one of the income-generating initiatives. Jovelyn’s husband, Rolly, is a pearl diver, while Jovelyn makes these pearls into accessories. The livelihood was passed on by their families from one generation to another. “Both our parents are pearl divers and pearl jewelry makers. I remember as a child that I helped my parents make accessories. Over time, I mastered making these pearl jewelry. And when my husband and I transferred to the city, we continued this livelihood,” Amad stated. Her son, Jay-R, seven, also helps her in making pearl accessories. Working with pearls allows the Bajaus to remember and appreciate their culture and heritage. The Amad family also runs a small eatery in the area, which adds to their daily income. Like other Bajau families living in the area, the Amads buy strands of pearls of different sizes and colors from their relatives in Zamboanga City. “We make earrings, bracelets, necklaces, and rings out of cultured pearls. Compared to malls and stores, ours are very cheap. Making pearl jewelry is one of the prides of the Badjau tribe. 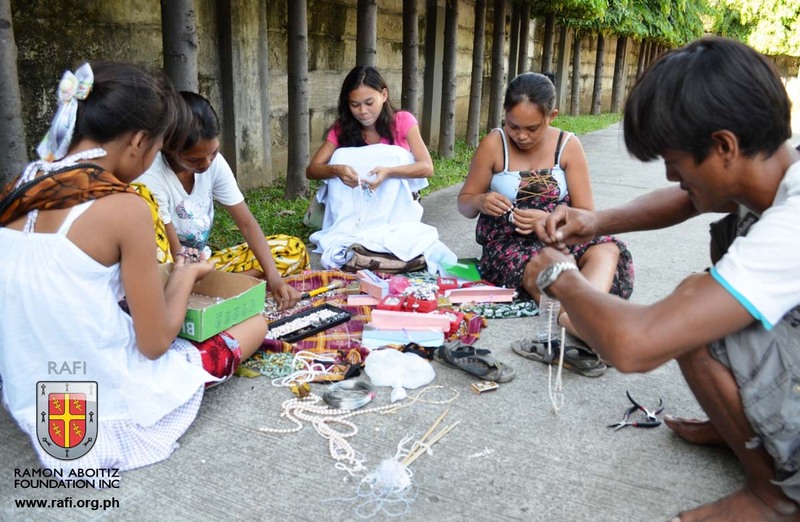 We are able to make them well even without formal training,” Jovelyn said, while sorting out strands of pearls. Their imported pearls come in round, semi-round, drop, pear, and oval shapes of different sizes. Round pearls are the rarest and the most valuable shape, according to Amad. Their colors include white, brown, and black. Of all the pearls, the black ones are the rarest. “We often make jewelry out of black pearls. They are our bestsellers. As of now, our buyers prefer our earrings and necklaces,” she said. Amad stressed that their jewelry are only sold at Php100-300. Their prices could still be negotiated depending on the quantity the buyers will buy. However, due to low market demand, their income is also affected. According to Jovelyn, some people prefer plastic accessories than real pearls. They can even produce hundreds of them if they get orders from their clients. She pointed out that pearls have brought food on our plates and that the Bajaus generate income from them rather than accessorize their bodies with these jewelry. “We sell it to our friends. For now, we do not have consistent buyers from the city. People only buy by piece from us. That is the challenge of the pearl making business for us, how to market it,” Jovelyn explained. Gatha Malalin, another Bajau, expressed her concerns over how to promote their products, saying earning enough from making and selling pearl jewelry would help them generate additional income for their household needs. “Because most of us here are dependent on this livelihood, we seek out ways ourselves to market our products. We build trust among our friends, sell to them, and assure them that every penny they spend on the jewelry is worth it,” Malalin added. 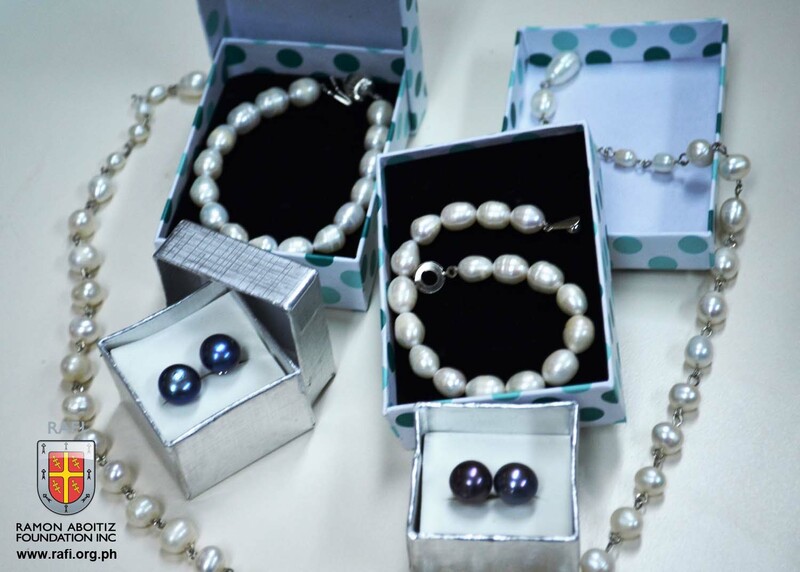 The Bajau community in Alaska Mambaling, Cebu City, through the intervention of the Badjau Integrated Area and Development Program (BIAD-P) of the Ramon Aboitiz Foundation Inc. (RAFI), now realizes that making pearl jewelry is an integral part of their identity as a people. The Bajaus are taking steps to preserve this and maintain a sense of pride for this livelihood. “There is a change in mind-setting among the Bajau community. We become responsible members of the tribe. We learn to appreciate the distinct culture we have,” Jovelyn stated. “The BIAD-P intends to revive and make the Bajau understand and appreciate their own culture as unique and distinctive, as something to be proud of,” Rowena Bandola-Alensonorin, executive director of Integrated Development said. Some program interventions include educating the Badjaus on the importance of proper hygiene and community mind-setting. Parents also underwent responsible parenthood seminar and families were trained to establish backyard gardens to respond to the high malnutrition rate among the Badjau children.